When I read the November Recipe Redux Challenge to share a healthy, ready-to-go mix, I said to my husband, “But I don’t use any mixes. I create everything from scratch.” Should I create a mix? I don’t know, it wasn’t feeling like me. You can’t force the food. I thought I’d have to skip this month. I got nothin’ on this one. 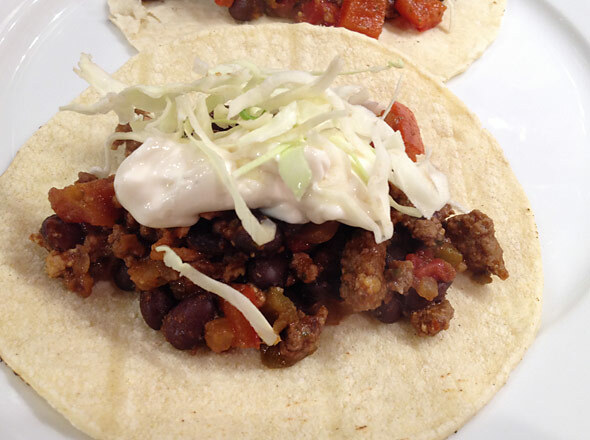 Have Gluten-free Tacos Ready to Go! Come home from a long day, didn’t get to stop at the store, and you need a quick dinner? Just grab your ground turkey or chicken, or your beans and rice, cook with your homemade taco seasoning mix and you are good to go. If you choose to add fresh veggies and aromatics, all the better! Yes, you can add fresh garlic and onion when cooking your meat or beans. Just know that with this mix, you don’t have to. I worked to balance the flavors and spices so that it will add a punch of flavor to any lean protein on its own. How fantastic is that? Put it all on a gluten-free corn tortilla or a grain-free cassava one and you are ready to eat! Remember, you have options for healthy, flavorful food! And for me, that feels phenomenal. I hope it does for you, too. Measure out and mix all ingredients together in a small mixing bowl. Make sure they are blended well. Use 1 1/2 - 2 tbsp of taco seasoning mix for 1 lb. of meat OR 1 lb. of beans and rice if going vegetarian, depending how spicy you like it. Recipe makes enough to season about 6 lbs of your favorite lean meat. Who wants tacos? I do! Ground Turkey Tacos have tons of flavor when seasoned with this homemade taco seasoning mix!